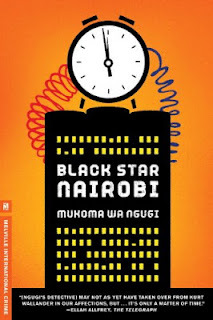 Another New Release for 2013: Mukoma Wa Ngugi's "Black Star Nairobi"
Book two in the action-packed crime series set in Nairobi featuring an American cop teamed up with a Kenyan Partner, will be published in June 2013. When a bomb explodes in a downtown Nairobi hotel, private detectives Ishmael and Odhiambo quickly make the connection to a murder case they're investigating. 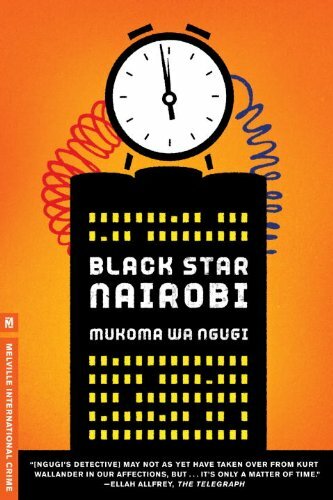 It's the first big break for their new detective agency, Black Star, formed after they were teamed together as policemen and they tracked down a Rwandan war criminal through the violent Kenyan underworld. But then the CIA and the local police claim the bombing was the work of Al Qaeda, though it's clear to Ishmael and O that something else is going on. They're under pressure to back up from the investigation, until a startling violence tips the scales - and the detectives take off on a round-the-globe pursuit of the shadowy forces that appear to be behind it all. With Kenya riven with ethnic violence, following the disputed elections of 2007, and Obama on the campaign train in the United States, Ishmael, an American cop who'd made a new life for himself in Africa, confronts a changed world, where everything he though he knew gets thrown into doubt - and the only way to find the answers is to go to extremes. A thrilling, hard-hitting sequel to Nairobi Heat, from a major new crime talent.